CDT is a community member-driven non-profit dance organisation and unique in the region. It exists for the love of dance and performance for ages 16+. It operates a world class studio, conducts classes as well as hiring the studio for other classes and artistic developments, operates with a volunteer board, a tiny staff, and volunteers for class administration. CDT class teachers are experienced, follow established guidelines for teaching, and are often dance artists in their own right. CDT has worked with the local dance community and with many significant Australian dancers, choreographers, musicians and designers, including Dr Stephanie Burridge, Dr Elizabeth Cameron Dalman OAM, Kai Tai Chan, Liz Lea, Julia Cotton, Patrick Harding-Irmer, Anca Frankenhauser, Beth Shelton, Anna Smith, Dr Cheryl Stock OAM, Andris Toppe, Wendy Wallace, Bernadette Walong, Graeme Watson, Meg Millband and Amalia Horden. See the history page for more. This integration of professional and community practice is a defining and unique aspect of the company’s history. It is also one that has enabled it to survive a long, and often challenging, arts environment. CDT moved to its current premises at 1 Kingsley Street Acton in 2012 as part of the City West redevelopment. It gained a professional studio with a Harlequin Liberty sprung floor, and always welcomes anyone with a love of dance. To be a distinct and integral component of a vibrant, diverse and sustainable dance culture in the ACT region through the delivery of inclusive dance education and performance. To contribute to the dance culture of the ACT region through quality dance education, dance performance, and engagement with local artists and organisations. 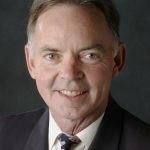 Dr Graham Farquhar AO, FAA, FRS, NAS is one of the founders of Canberra Dance Theatre. While taking his first science degree at the Australian National University he also studied dance with the Bryan Lawrence School of Ballet in Canberra. He continued to dance and in 1970 founded National University Dance Ensemble while pursuing a distinguished career researching plant physiology. In 1978 he co-founded Canberra Dance Ensemble with Lorna Marshall, and Diane Shohet, being joined on their departure by Stephanie Burridge as the first Artistic Director. Dr Farquhar is a fellow of The Australian Academy of Science and of the Royal Society and a Foreign Associate of the National Academy of Sciences. He has over 300 research publications and is a leading Australian Citation Laureate. Graham was awarded the Prime Minister’s Prize for Science in 2015, the Kyoto Prize in 2017, and was named Senior Australian of the Year for 2018.